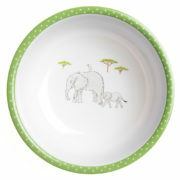 A smiling elephant and child stroll across this melamine bowl, with acacia trees in the background. 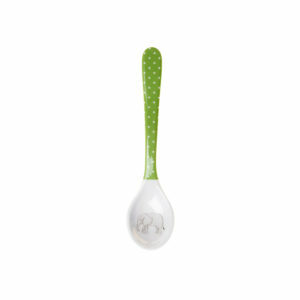 An eye-catching green edges the bowl, with white polka dots. 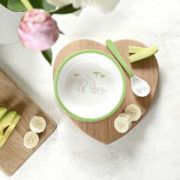 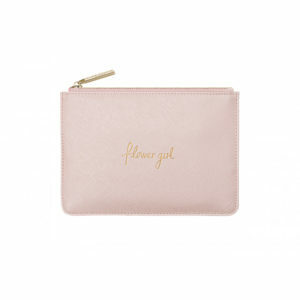 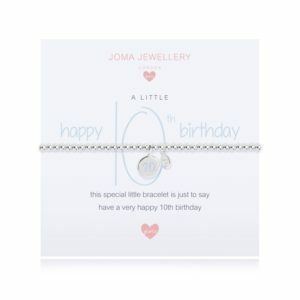 Matching items are available, for a lovely gift set. 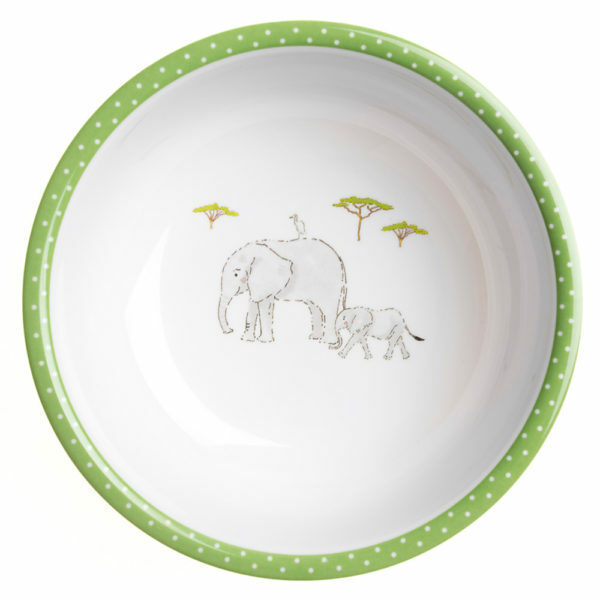 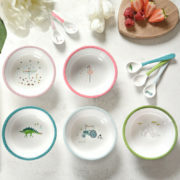 Tags: bowl, Children, Home, kids, Kitchen, safari, sophie allport.